Leave it to Sega to have their secrets disrupted by every external force in the universe. Kotaku is reporting that toys pitching the upcoming racing sequel were spotted at the New York Toy Fair with further confirmation from the representative on deck that the game will be out by year’s end and feature new playable characters. 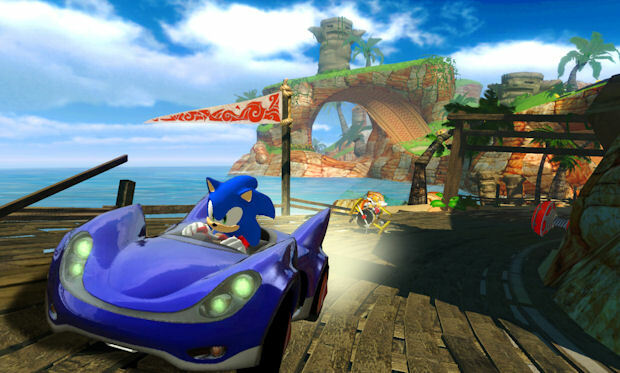 This information links up well with a teaser posted on Sonic Stadium that Sumo Digital was at work on another racing title. We can only hope the shortlist includes the likes of Wonder Boy, a Rag Rappy from Phantasy Star, and Segata Sanshiro riding on a Sega Saturn controller.